As is the tradition at Christmas time, I was again in charge of the most important (or so I like to think) part of the holiday meal – the desserts. This tradition has been going on pretty much since my mom bought me my first cookbook (a cream cheese one filled with delightful cheesecake recipes actually) way back in 199…well, the year doesn’t matter much. Either way, I’ve been baking up desserts for family meals for a long time. Every year I pour over my ever expanding collection of cookbooks, looking for recipes that will please the masses, offer variety, and satisfy my creative baking desires. It would be easy to just make the same thing every year, a family favourite I know everyone loves. But that’s boring! Why bother even having all those cookbooks if I never get a chance to try them out? And really, when else do you get to make extravagant cakes and pies other than holidays? I guess I could make them just for the fun of it, but it just seems wrong. I almost always like to try and get a chocolate dessert in there along with a fruity one, but this year chocolate didn’t make the cut. I know, I’m as shocked as you. 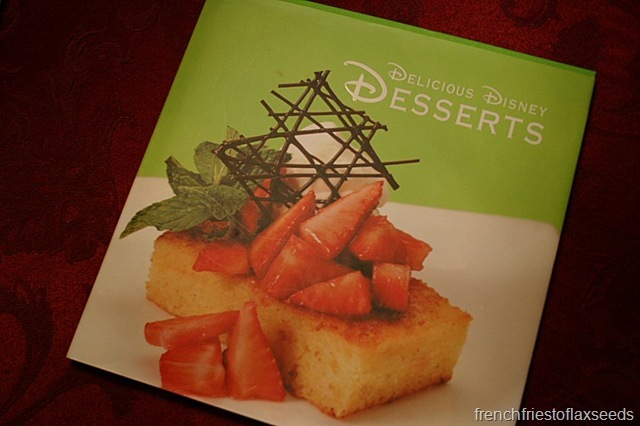 Dessert #1 was courtesy of Delicious Disney Desserts, a book gifted to me by my sister. I present to you Mascarpone and Amaretto Tart. 3. 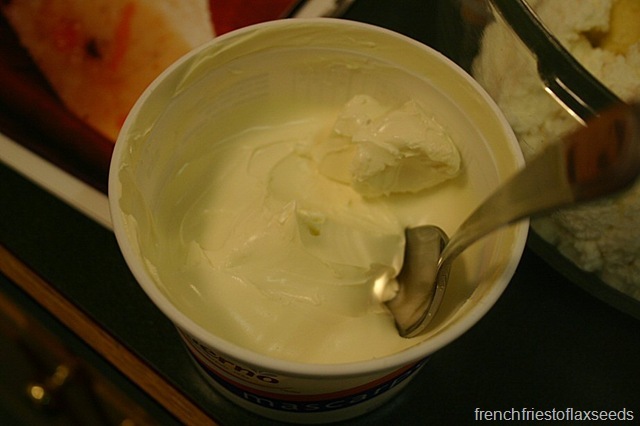 It would use up the half container of mascarpone I had in the fridge. That stuff ain’t cheap! Overall, it was a really easy recipe to put together. The dough came together great, even when I replaced all of the all-purpose flour with whole wheat pastry flour. 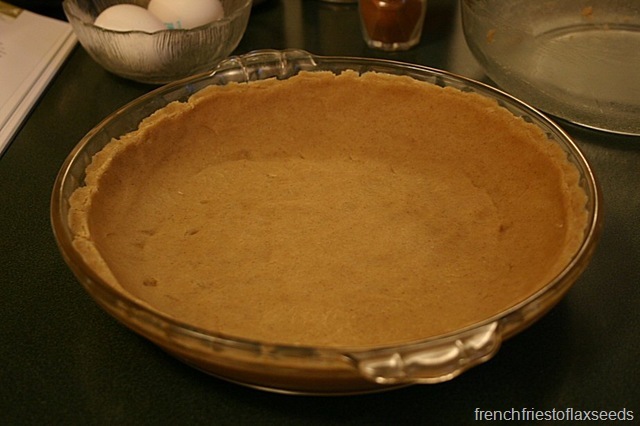 I figure it negates the cup of butter needed for that crust. The filling was pretty straight forward as well. There were a few steps involved, like separating eggs, but nothing I couldn’t handle. Okay, that’s a lie. 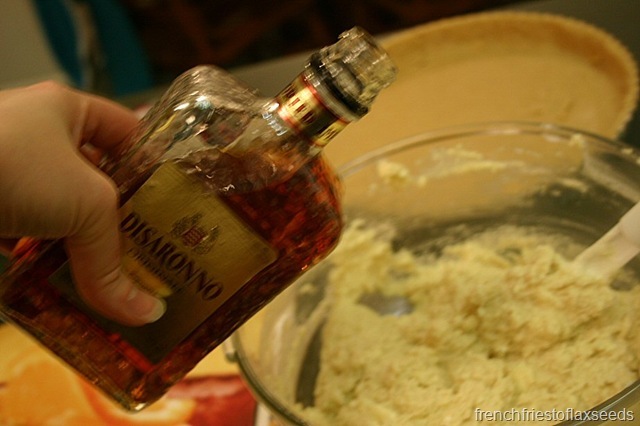 By the time I had hand mixed all of the cheese filling, I thought my arm was going to fall off. In all fairness, I had worked all day, made another dessert, rolled out the dough, yadda, yadda. 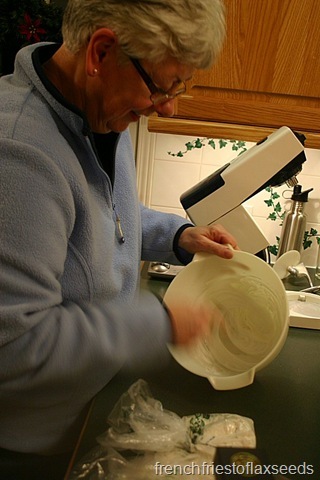 I then needed to whip up the one egg white, which I figured would be a snap with my stand mixer. 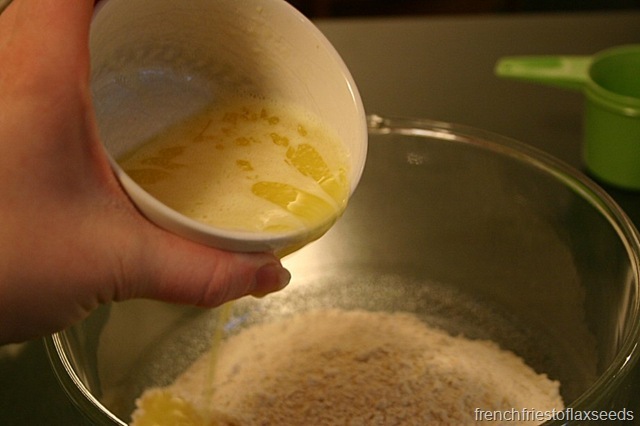 Too bad it’s old and the whisk doesn’t reach far enough down to whip up only one egg. Seriously?! So I called in a pinch hitter – my mom. Check out that egg whippin’ action shot! She’s got mad skillz. 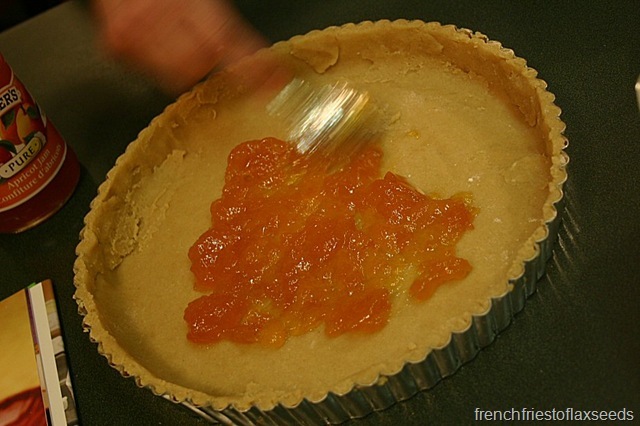 She also spread the apricot jam for me so I could take a photo. I think she actually just wanted me to hurry up and get out of the kitchen so she could make dinner. In the end, our tart was a success. 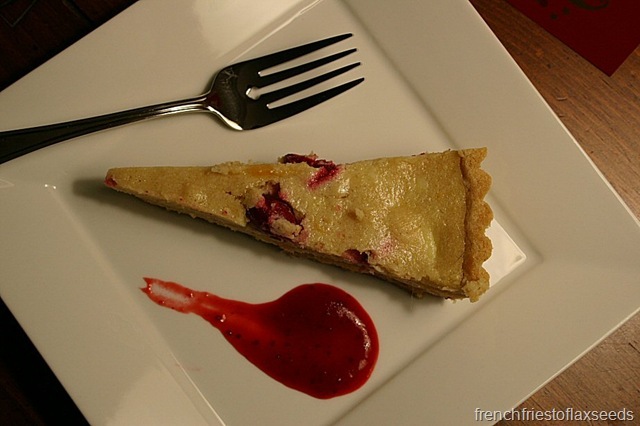 It was rich and creamy, with pops of cranberries and a hint of citrus throughout. I did feel it was a wee bit monotone looking though, and whipped up a quick cranberry/citrus/amaretto sauce on Christmas Day to go with it. 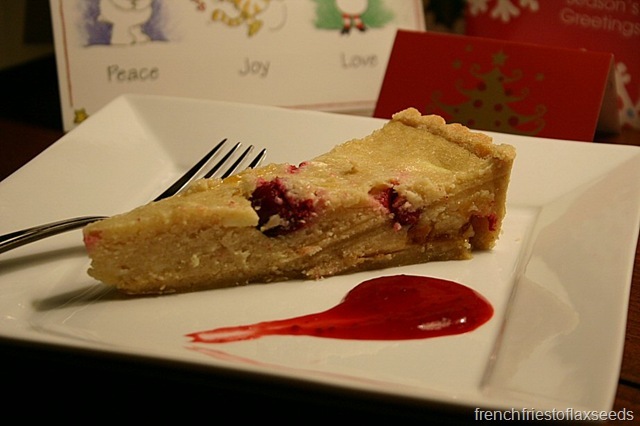 It added the pop of colour and a bit of acidity needed to cut through the rich tart. 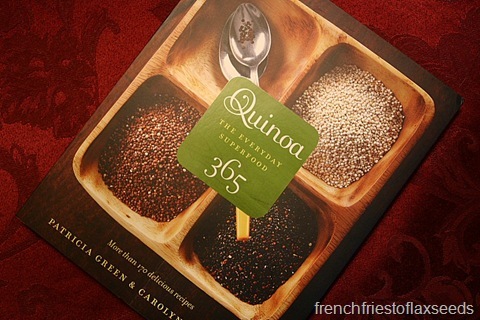 Dessert #2 was courtesy of Quinoa 365 – The Everyday Superfood. Mom had tossed around the idea of making a pecan pie for dessert. 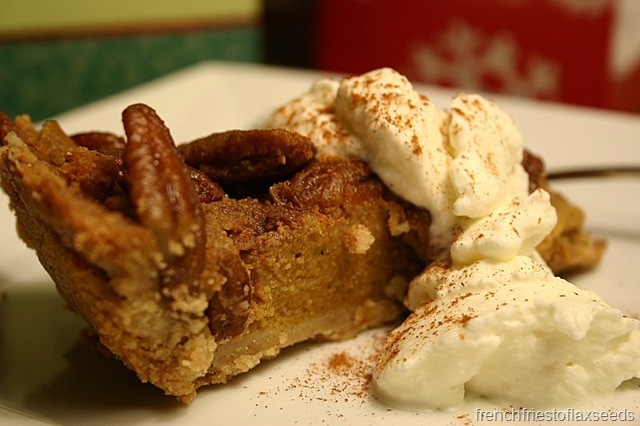 I wasn’t totally sold on the idea, but when I cam across a recipe for a Caramel Pecan Pumpkin Pie in this cookbook, I knew I needed to make it. I mean, come on – how many more amazing flavours could you really get into one pie? Okay, sure, it’s missing chocolate, but that would be overkill. Quinoa flour! Oh yes, I busted out crazy hippie health food for Christmas Day. But shhhh…don’t tell anyone. 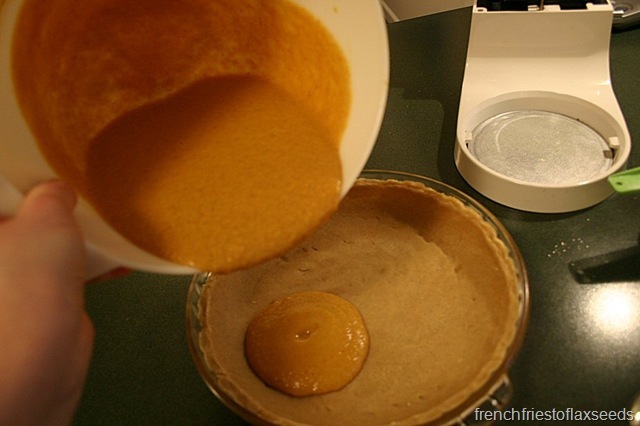 This pie was so easy to put together that it was a bit ridiculous. 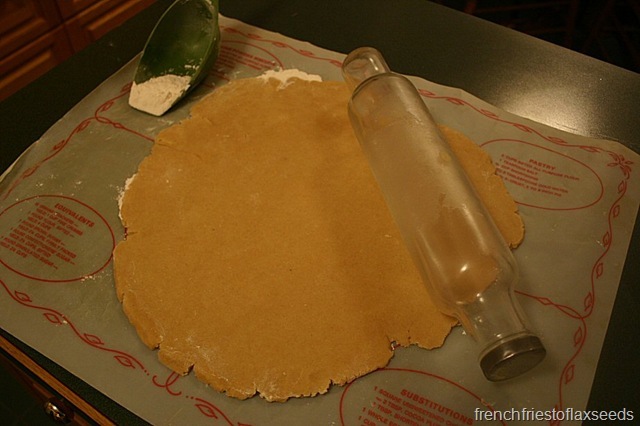 My favourite part was the crust, because it wasn’t your typical cold butter, fussy roll out crust. This one involved melted butter. Then you press it on into the pie plate. Fill it up with your pumpkin filling. 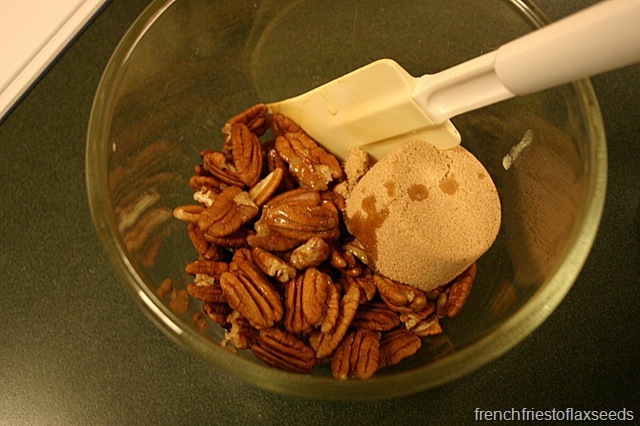 And don’t forget the caramel pecan topping. So here are my thoughts on this recipe. 1. 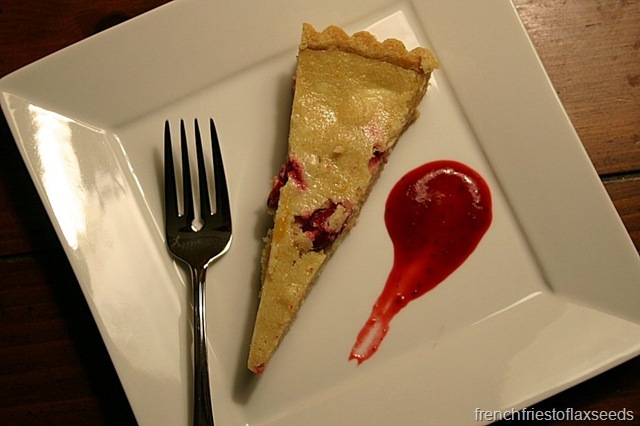 The pie looks beautiful. Smells amazing too. Easy to put together. Thumbs up. 2. 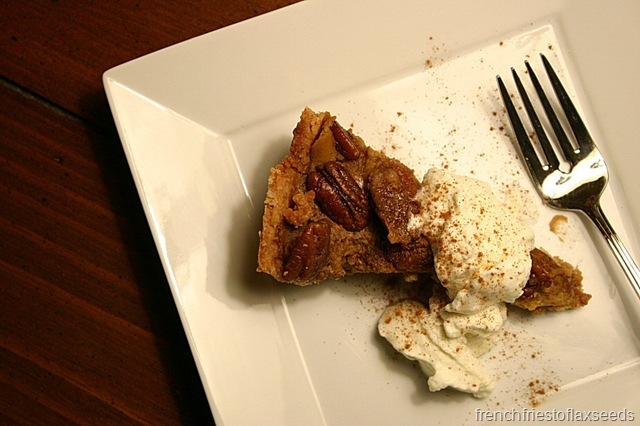 The recipe has a typo – it mentions starting the pie at 350 degrees F, then when you add the pecan topping part way through baking to lower the oven temperature…to 350 F. I wasn’t sure what to do, so I lowered it to 300, but it didn’t seem to be setting in the middle, so I upped it back up and finished baking. I think mine ended up being a wee bit soft in the centre, making it really hard to cut into clean slices, but it did taste good. 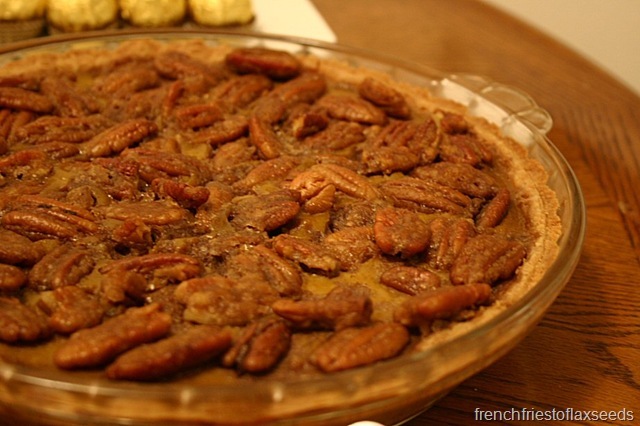 I think you could leave the pie at 350 F and just watch to make sure the pecans don’t burn. 3. The quinoa in the crust does impart a definite flavour. 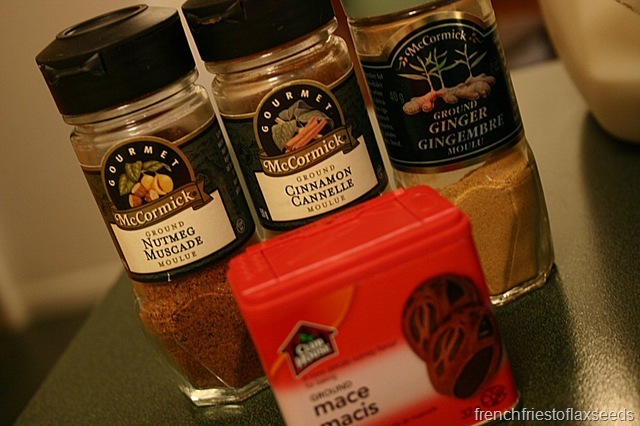 Because of this, I think it’s key to not skimp on the spices. I also think adding the whipped cream on top when serving helps downplay the quinoa flavour. I don’t mind quinoa, but depending on who you are serving this to, they may find it unpleasant, especially in a sweet dessert. 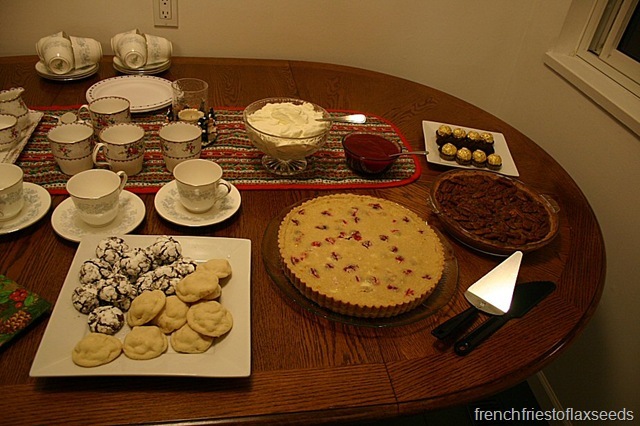 So there you have it – our delicious desserts from Christmas Day. All in all, I would deem them a success. Seeing as they are all gone, they couldn’t have been too bad, eh? 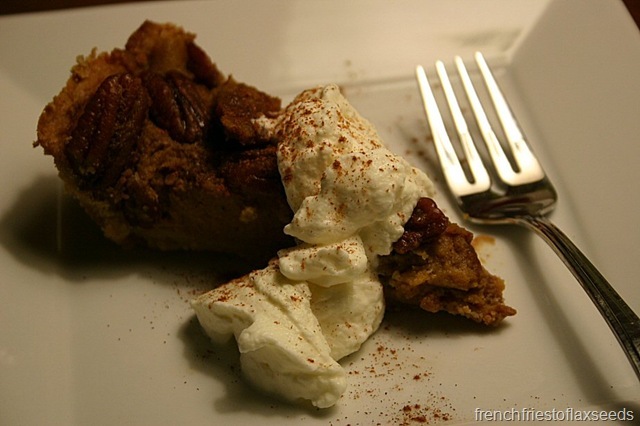 What did you have for dessert on Christmas Day? Did you get to do the baking, or is someone else always in charge of the most important part of the meal? You can bake desserts for my family gatherings any day. Both of those look completely delicious. I need to try something with quinoa flour one of these days. We had some baking going on in this house but mostly just simple cookies and the like, nothing too extravagant. And I did xmas dinner at my dad’s where they only had store bought pies/tarts and a few okay homemade cookies. Clearly I should have brought something homebaked along for the occasion. Next year! Wish you an amazing NYE, love! 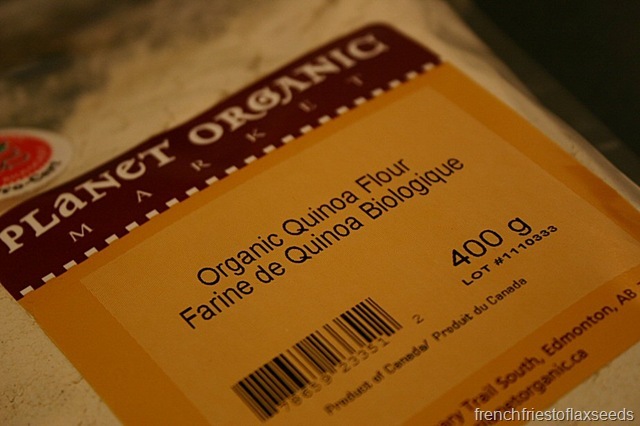 I’ve never seen quinoa flour–I wonder if I could make it myself by grinding up quinoa? Our Christmas Day dessert was quite a smorgasbord: cherry & pumpkin pies, Christmas cookies, and angel food cake! I’m sure you could make quinoa flour by grinding up quinoa. 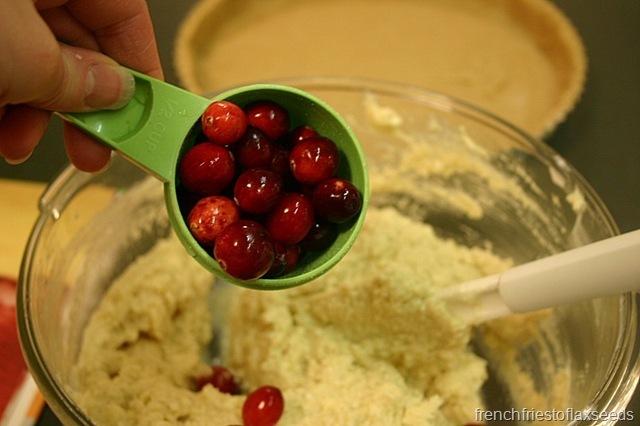 Just depends on how good your blender is – might not get it as fine as the stuff sold at the store. My mom and I both start baking for Christmas in October/November. I give baking as gifts and take any leftovers to my parents house to share with visitors throughout the holidays. We both make different types of cookies, fudge, cakes etc. Is that an egg separator? I have never seen such a thing! Colour me intrigued. Seriously? 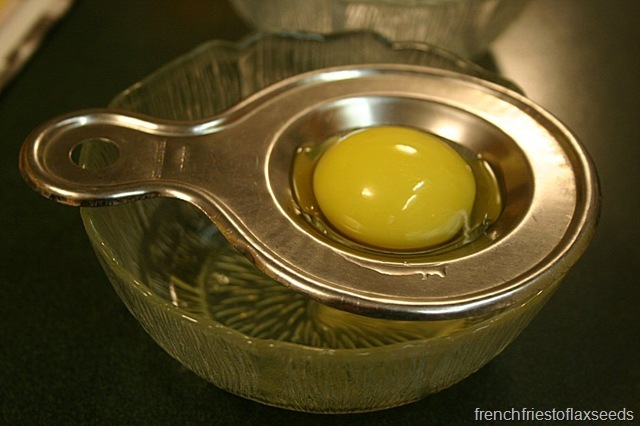 You’ve never seen an egg separator? I always thought they were common place, but perhaps I was wrong. Very handy though!